Norwegian dog trainer Turid Rugaas taught the world that humans can not only learn to read canine body language, but can use their own body language to communicate with dogs. 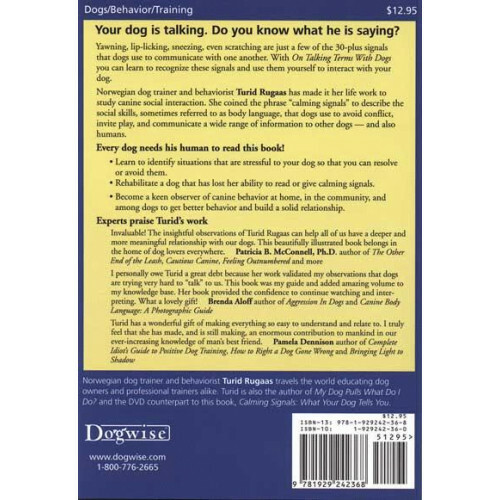 One of the most influential books on dog behavior and body language today. Your dog is talking. Do you know what he is saying? Yawning, lip-licking, sneezing, even scratching are just a few of the 30-plus signals that dogs use to communicate with one another. With On Talking Terms With Dogs you can learn to recognize these signals and use them yourself to interact with your dog. 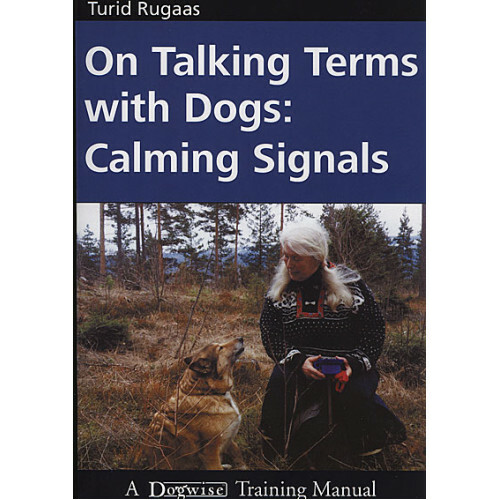 Norwegian dog trainer and behaviorist Turid Rugaas has made it her life work to study canine social interaction. She coined the phrase “calming signals” to describe the social skills, sometimes referred to as body language, that dogs use to avoid conflict, invite play, and communicate a wide range of information to other dogs — and also humans. Every dog needs his human to read this book! Learn to identify situations that are stressful to your dog so that you can resolve or avoid them. Rehabilitate a dog that has lost her ability to read or give calming signals. Become a keen observer of canine behavior at home, in the community, and among dogs to get better behavior and build a solid relationship. Turid Rugaas lives in Geithus, Norway and is also the author of My Dog Pulls What Do I Do? 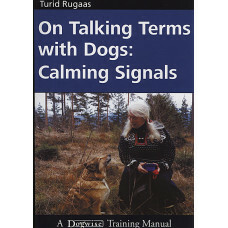 and the DVD counterpart to this book, Calming Signals: What Your Dog Tells You. She has studied canine social behavior for over 30 years and written and lectured on the subject throughout the world. The Ultimate Experts Explain Common Dog Behaviors ..